Is nuclear power too risky in earthquake-prone countries such as Japan? On March 11, a massive 8.9-magnitude earthquake shook Japan and caused widespread damage especially in the northeastern region of Honshu, the largest Japanese island. Nuclear power plants throughout that region automatically shut down when the plants’ seismometers registered ground accelerations above safety thresholds. But all the shutdowns did not go perfectly. Reactor unit 1 at the Fukushima Daiichi Nuclear Power Station experienced a mechanical failure in the emergency safety system. In response, officials ordered the evacuation of residents who live within two miles of the plant. Also, people living between two to 10 miles were ordered to stay indoors. The Japanese government described this order as a precautionary measure. A worst-case accident would release substantial amounts of radioactive materials into the environment. This is unlikely to happen, but is still possible. Modern commercial nuclear power plants like the Fukushima plant use defense-in-depth safety measures. The first line of defense is fuel cladding that provides a barrier to release of highly radioactive fission products. Because these materials generate a substantial amount of heat, coolant is essential. Thus, the next lines of defense are to ensure that enough cooling water is available. The reactor coolant pumps are designed to keep water flowing through the hot core. But loss of electric power to the pumps will stop this flow. Backup electric power sources such as off-site power and on-site emergency diesel generators offer another layer of defense. Unfortunately, these emergency power sources were knocked out about one hour after the plant shut down. Although it is unclear from the reporting to date, this power outage appears to have occurred at about the same time that a huge tsunami, triggered by the earthquake, hit that part of Japan. Sustained loss of electric power could result in the core overheating and the fuel melting. However, three other backup systems provide additional layers of defense. First, the plant has batteries to supply power for about four hours. Second, the emergency core cooling system can inject water into the core. Finally, the containment structure, made of strong reinforced concrete, surrounds the reactor and can under even the most severe conditions prevent radioactive materials from entering the environment. But the earthquake — the largest in the 140 years of recorded history of Japanese earthquakes — might have caused some damage to the containment structure. Japanese authorities announced that they will vent some steam from the containment structure to reduce the pressure buildup. This action may release small amounts of radioactive gas. The authorities do not expect any threat to the public. Although a meltdown will most likely not occur, this incident will surely result in significant financial harm and potential loss of public confidence. For example, it was less than four years ago, in July 2007, when the Kashiwazaki-Kariwa Nuclear Power Plant, Japan’s largest, suffered shaking beyond its design basis acceleration. The plant’s seven reactors were shut down for 21 months while authorities carefully investigated the extent of the damage. Fortunately, public safety was not harmed and the plant experienced no major damage. However, the government accepted responsibility for approving construction of the first reactor near a geological fault line, which was unknown at the time of construction. The biggest loss was financial. In particular, the fiscal year 2007 loss was estimated at $5.62 billion with about three-fourths of that to replace the 8,000 megawatts of generating capacity from the nuclear plant. Japan has balanced this financial risk against the risk of energy insecurity. Because it lacks abundant natural resources such as coal, oil, and natural gas, Japan imports more than 80 percent of its energy supplies. The 1973 oil shock from the Arab oil embargo convinced Japanese leaders that they needed to reduce their country’s dependence on foreign oil. At that time, oil was used to generate about 66 percent of Japan’s electricity. Nuclear energy offered a means to reduce this dependency. Today, nuclear power generates about 30 percent of Japan’s electricity while oil accounts for 11 percent. Tokyo wants to further increase nuclear power’s share of electricity generation to 41 percent in 2017 and 50 percent by 2050. Japan presently has 54 commercial nuclear reactors and is building two more. It has plans for at least a dozen more in the coming decades. From conversations I have had in recent years with Japanese nuclear energy officials, I have learned that they prefer a balanced portfolio with not too much reliance on a single source of energy for electricity. But moving toward one-half of Japan’s electricity from nuclear power appears too risky in light of the recent massive earthquake. About one-fifth of Japan’s nuclear plants were shut down. A prolonged shutdown of a significant portion of Japan’s electric generators could affect public well-being — for example, hospitals need reliable power supplies — and could harm the Japanese economy. One possible solution is to ramp up Japan’s use of renewable energy sources. However, politically powerful forces stand in the way of greater development of renewable energy. Japan has 10 major electric utilities that wield tremendous political influence over local and national governments. The utility executives favor large power generators such as nuclear power plants. Wind, solar, and geothermal plants tend to be much smaller in power generation. In 2010, the Japan Renewable Energy Policy Platform, an association of several renewable energy organizations, issued the first renewable energy white paper published in Japan. Its report underscores the lack of government incentives for increasing use of renewable energy. Japan had been in first place in the world in solar photovoltaic installation until 2004, when the government cut financial support. Moreover, renewable portfolio standards have been set too low. National targets were reached in recent years but have only resulted in a small fraction of electric power from non-hydro power sources. Furthermore, most geothermal power is not included in the renewable energy targets because of concerns about water use and the effects on spas. But geothermal has a huge potential because of Japan’s location in a geologically active zone. In sum, renewable sources could provide about 67 percent of Japan’s electricity by 2050 if the government would implement effective policies. Japan, a world leader in nuclear power, should also become a leader in use of renewable energies. 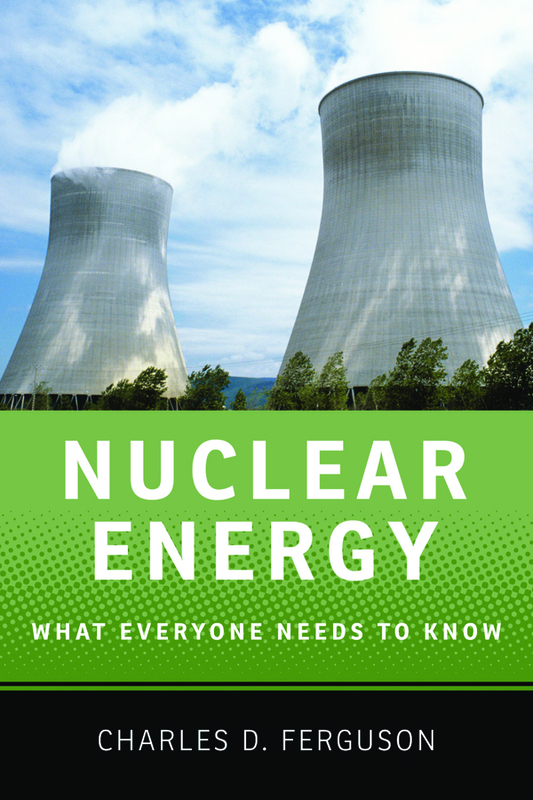 This will help alleviate safety and financial concerns about too much dependence on nuclear energy. It will also point the way toward a sustainable energy future for the world. This article is reposted with permission from Foreign Policy.